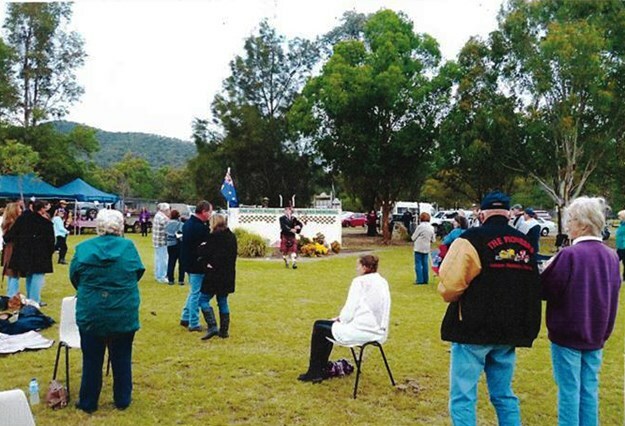 Held at Garry Miller Memorial Park, Putty Rd, Milbrodale. Service starts at 1pm. Refreshments from 11am. Afterwards, reunion dinner at Charbonnier Hotel, Singleton. Cost $66, tickets must be purchased in advance. Hotel will offer a special rate on accommodation for memorial attendees by phoning 02 6572 2333. For Putty Road Memorial Service info see the Facebook page or phone Paul Crollick on 0427 472 250 (email crollick@yahoo.com), Shane Kent on 0419 287 159 or Marie Warby on 0414 631 206.